Doc Wayne (www.docwayne.org) Global Life Empowerment youth recently completed their fall project, helping youth in intensive foster care stay warm and feel cared for this upcoming holida y season. Supported by the Massachusetts Department of Elementary and Secondary Education’s After-School and Out-of-School Time (ASOST-Q) Grant Program, Global Life Empowerment helps Doc Wayne participants stretch to a new level of competence and readiness in skills essential to their educational, clinical, vocational, and social functioning. re Program (http://www.wefostercare.org/) to be wrapped up as holiday gifts. This program is not only rewarding and beneficial to our Doc Wayne youth, but also to our interns and staff involved. The Global Life Empowerment team will return to South Boston this week to help youth plant bulbs to beautiful the South Boston community this upcoming spring. 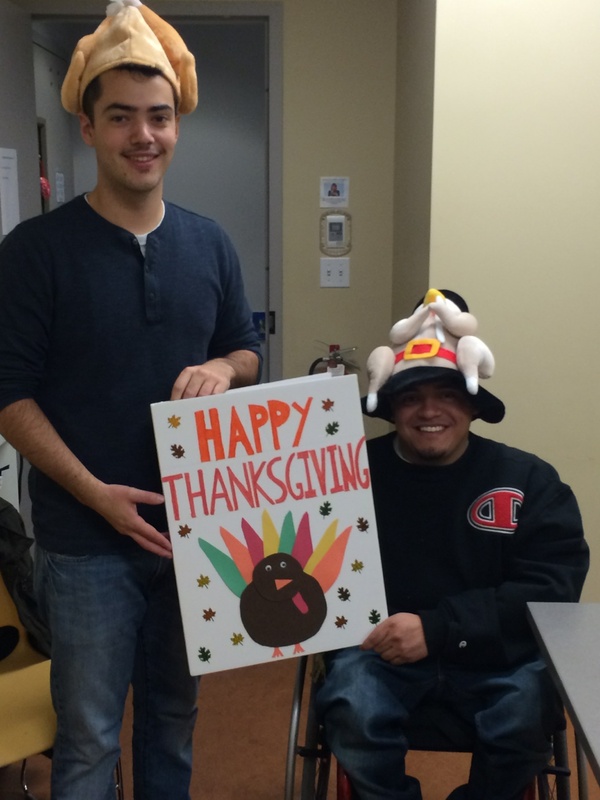 Thank you to our partner the Joseph M. Tierney Learning Center and the Global Life Empowerment team of staff and interns for their amazing work with our youth this fall season. For more information about Doc Wayne please visit http://www.docwayne.org or follow us @DocWayneDtG. Youth participating in Doc Wayne’s Global Life Empowerment (GLE) program (http://docwayne.org/what-we-do/GLE), funded by the MA Department of Elementary and Secondary Education, made a positive difference in their community this Thanksgiving. Cards, crafts, and baked goods were delivered to Marian Manor Nursing Home, Longwood Public Safety, and the Boston Police Department’s C-6 District. 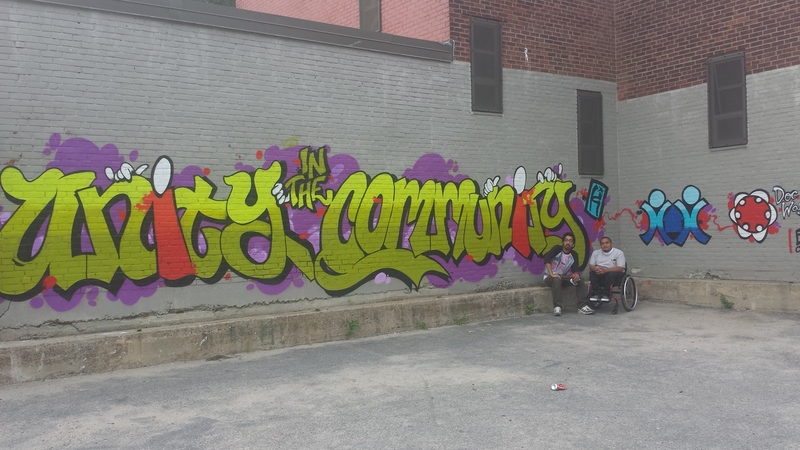 Youth at South Boston’s Joseph M. Tierney Learning Center (TLC) planned and organized the project with guidance from Jose Sotz (TLC – Program & Technology Coordinator) and Tyler Germond (Doc Wayne Intern & Endicott College Student). 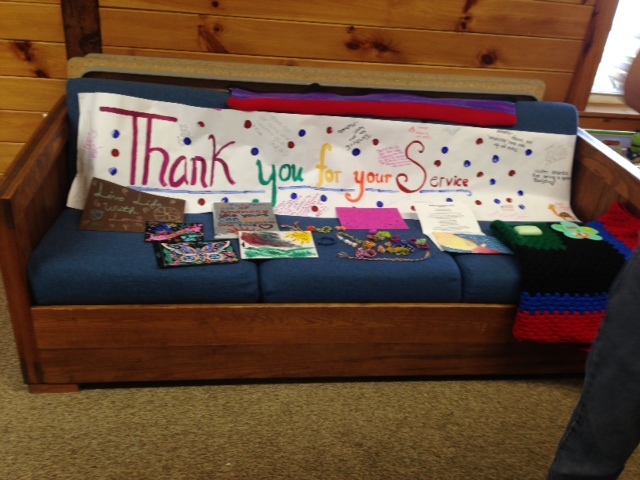 Teens from Calvary Chapel Chelmsford donated homemade baked goods to assist Doc Wayne youth in their efforts. Youth involved with Doc Wayne’s Global Life Empowerment (GLE) program (http://www.docwayne.org/what-we-do/GLE), funded by the MA Department of Elementary and Secondary Education, continue to “Fill the Tank” of others. 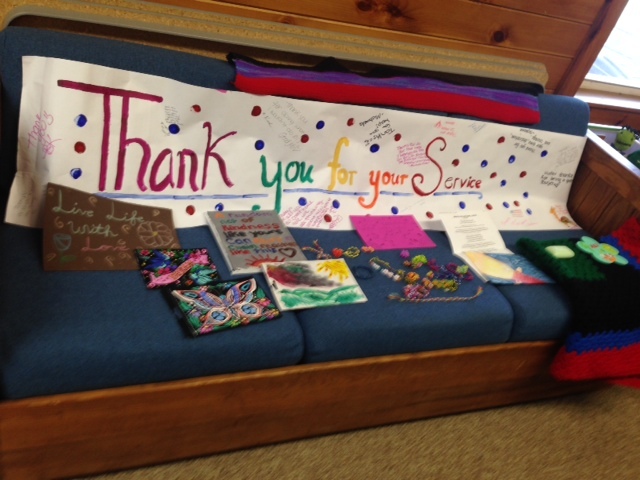 Youth at the Key Program, Inc. delivered words of encouragement, thank you letters and hand-knitted items to members of the military stationed at Hanscom Air Force Base. This is just one in a series of kind acts done by Doc Wayne youth that are truly inspirational. Check out the pictures! To participate in GLE or the other programs offered by Doc Wayne, please visit http://www.docwayne.org or contact us at info@docwayne.org. 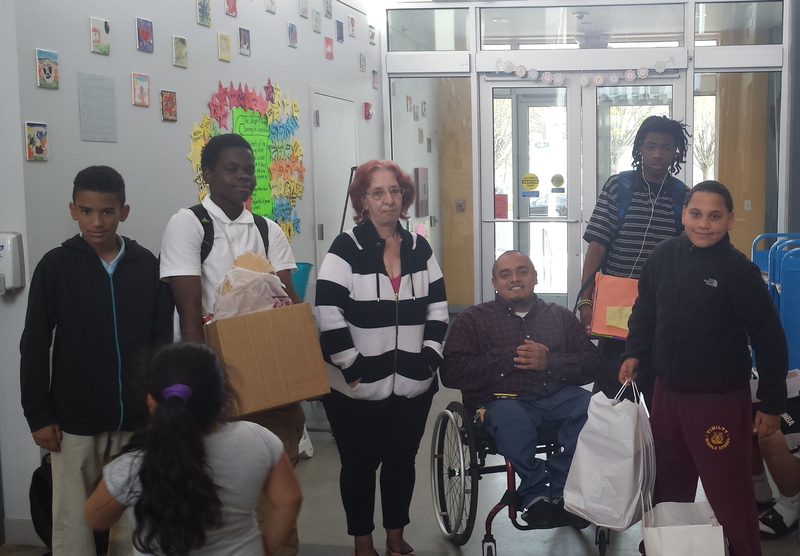 Youth at the Tierney Learning Center at Beacon Communities in South Boston demonstrated that giving back continues after the holiday season. Youth participating in Doc Wayne’s Global Life Empowerment (GLE) program (http://docwayne.org/what-we-do/GLE), funded by the MA Department of Elementary and Secondary Education, collaborated with the Notre Dame Education Center (NDEC) (http://ndecboston.org) to donate canned goods to families in need. The NDEC is an educational facility that also serves as a counseling and outreach program site. This wonderful act of kindness makes a positive difference in the lives of others and these incredible South Boston youth are an inspiration to do the good! Check out the photo below! For more information, please visit http://www.docwayne.org or email info@docwayne.org.